I’m always trying to come up with new things to do with Lucas during the day. I browse Pinterest a lot and try and take what I find there and make it fit us. 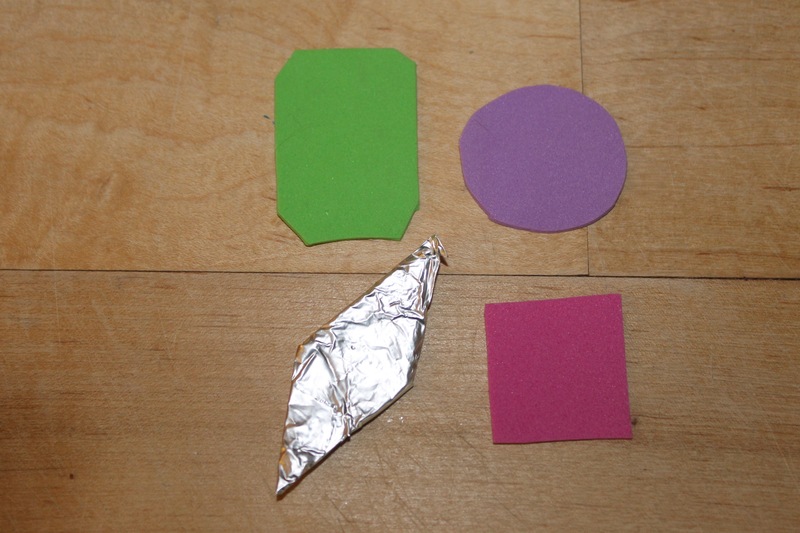 I cut shapes out of the foam to make the gems we’d be mining for (we had green emeralds, “red” rubys, circle amethysts and diamonds). I used the foil to make wrap around the diamond shape to make it shine. A small container and some beans and we’ve got ourselves a coal mine! 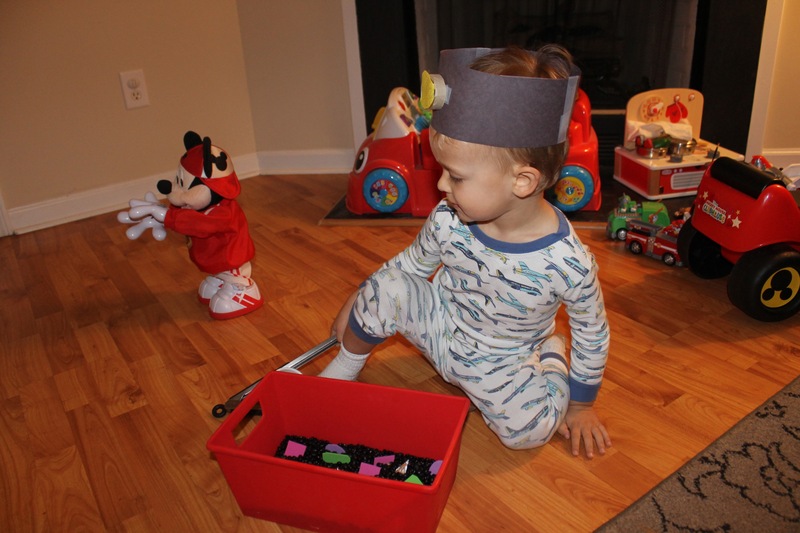 To make the hat I just used the construction paper to fit L’s head. 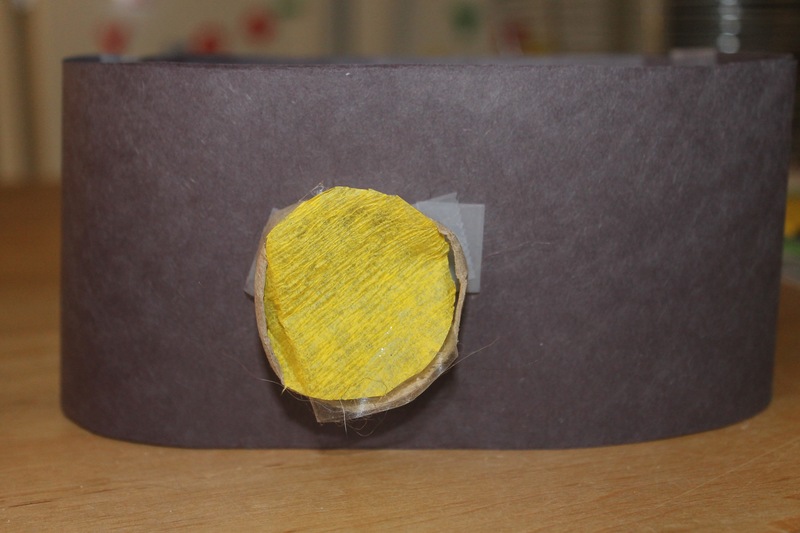 Then cut of a piece of the paper towel roll and added in the yellow “light.” I wasn’t too sure L would wear his miner’s hat but he did and thought he was hot stuff in it! I just kind of let him go to town trying to find all of the gems. 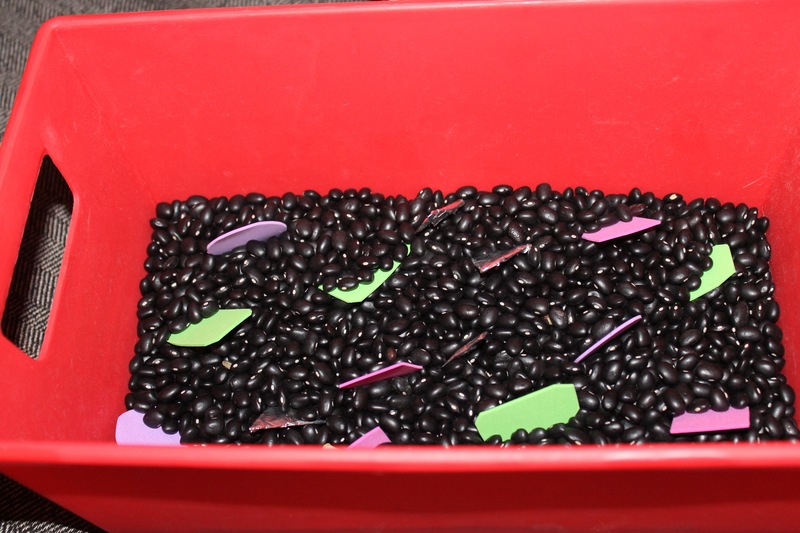 We ended up with a LOT of black beans on the floor but had a ton of fun in the process. It was awesome to hear him identifying each shape and color (he’s super into diamonds right now so I knew he’d love that one). This activity kept him occupied for a good 30 minutes. I still have it put together and plan on bringing it out again when I need a few minutes to get some things accomplished! 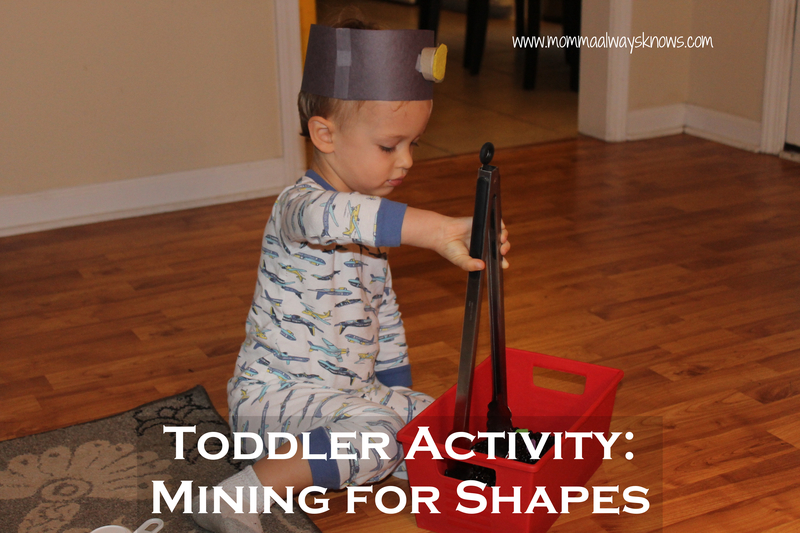 What are you favorite activities to do with your little ones? I’d love it if you’d share them below! Thank you so much! 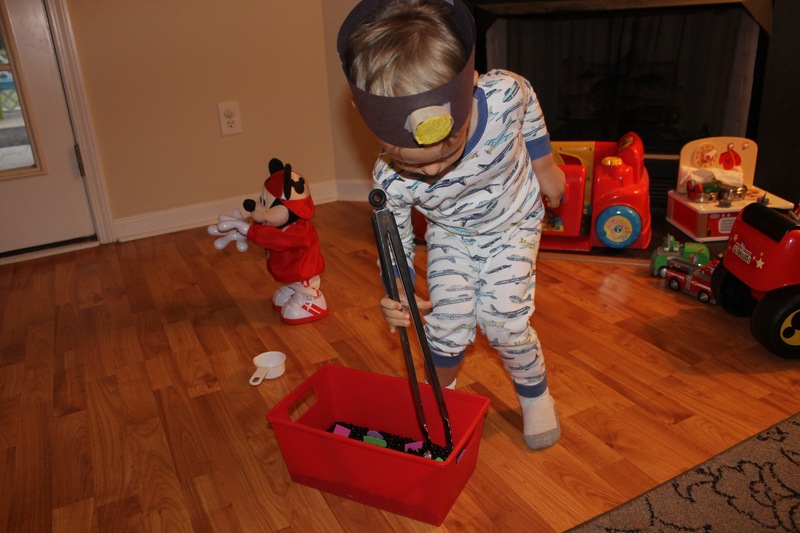 We just welcomed our 2nd son about a week ago but I hope to be posting a lot more preschool activities soon! Congrats on the new baby! I have a 4 month old and time just flies with the second one.